On March 26th, 2019, the International Provisional Representative of the Free Territory of Trieste – I.P.R. F.T.T. addressed an official protest note to the administering Italian Government due to the signing, on March 23rd in Rome, of an agreement between the President of the current Trieste Port Authority, Zeno D’Agostino, and China Communications Construction Company – CCCC right after the signing of the Italy-China Memorandum of Understanding. The protest note (LINK) explains the grounds of absolute illegitimacy of the agreement signed by the Port Authority, and requests the administering Italian Government to take all measures needed to restore the rule of law in the management of the International Free Port and of the customs port of the present-day Free Territory of Trieste. Otherwise, the I.P.R. F.T.T. is activating all needed legal defenses. On March 23rd, 2019, in Rome, Italy and China signed the announced «Memorandum of Understanding between the Government of the Italian Republic and the Government of the People’s Republic of China on cooperation within the framework of the Silk Road Economic Belt and the 21st Century Maritime Silk Road Initiative» (LINK). The practical forms of cooperation envisioned by this MoU are transports, logistics, and infrastructures – including ports, railroads, and roads – the supply of energy and telecommunications, including also public and private investments and financial holdings, as well as public tenders and concessions. This means the cooperation envisioned by the MoU does not regard regular mutual trade, instead, it involves control over port, transport and communication infrastructures in both the Italian Peninsula and Sicily, where these have a primary economic and strategic importance for Europe as well as for Euro-Atlantic and Mediterranean balances. The consequent strategic risks derive from Italy’s political and economic weakness and by the enormous pressing the P.R.C. can exercise to impose and expand its economic, political and military influence, crossing the line of equilibrium with the U.S. and with Russia. Therefore, international alarms and oppositions are perfectly justified. The effective economic and strategic threats deriving from that operation are indeed confirmed by the content of some of the main agreements that were signed in Rome right after the MoU, in particular by the content of an illegitimate agreement regarding railroad hubs of the port of Trieste. In facts, the administering Italian Government has no right to allow P.R.C. 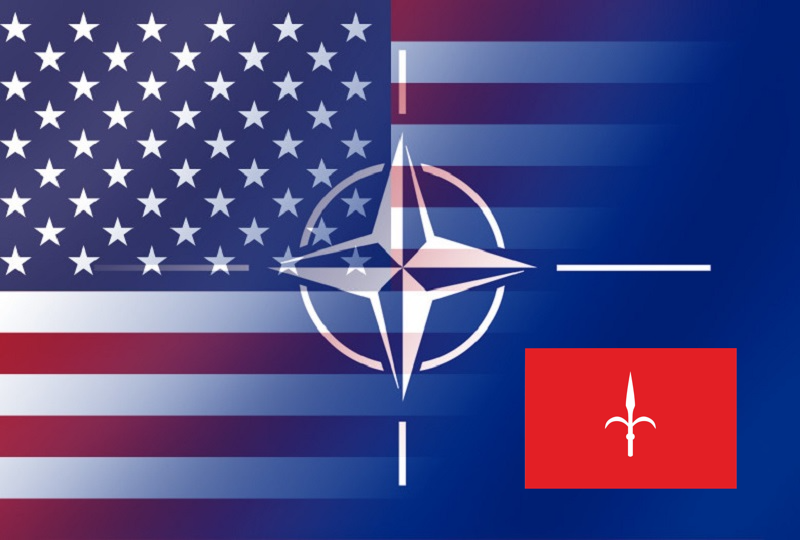 State-owned companies and State investors to take over strategic port facilities and railroads of the present-day Free Territory of Trieste, where it only exercises temporary civil administration under a special trusteeship mandate that is sub-entrusted to it by the Governments of the United States and of the United Kingdom as primary administering authorities on behalf of the UN Security Council. On March 11th, 2019, the International Provisional Representative of the Free Territory of Trieste – I.P.R. F.T.T. had therefore addressed its first official protest note to the administering Italian Government, revolving on the illegitimate inclusion of the International Free Port and of the customs port di Trieste in the current political-economic negotiations between Italy and China, reserving all needed legal defenses (LINK). The March 23rd Italia-China Memorandum is drafted as a bilateral declaration of intent that does not constitute an international agreement which may lead to right and obligations under international law, or to legal or financial obligations or commitments of the Parties; also, the MoU is to be interpreted in accordance with the legislations of the Parties, as well as with applicable international law and, as for the Italian Party, with the obligations arising from its membership of the European Union. Due to its bilateral nature, the MoU and thus the as well as the practical bilateral agreements there are to derive from it, cannot, by any mean, legitimately involve or affect third Countries, as is the present-day Free Territory of Trieste entrusted by the Governments of the United States and of the United Kingdom have sub-entrusted to the temporary civil administration of the Italian Government and to the military defense of NATO. 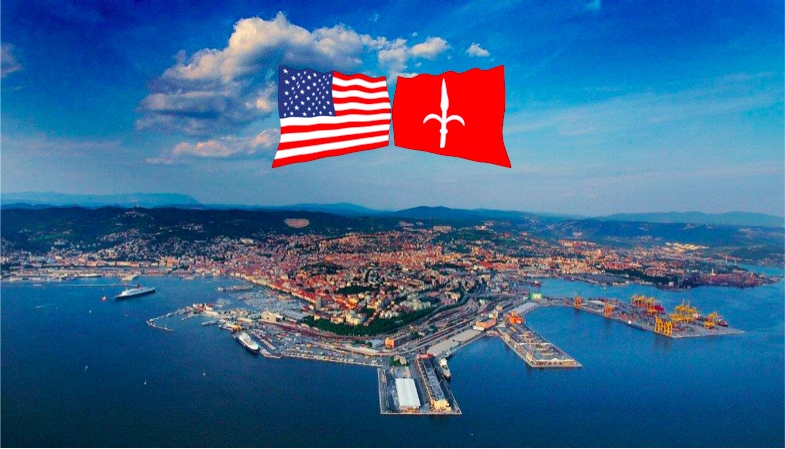 This is why Trieste does also serve as Naval Base for the U.S. and NATO. The legal limit set by the MoU signed by the Italian and by the Chinese Government were violated short after with the signature of an «Accordo di cooperazione fra Autorità di Sistema Portuale del mare Adriatico Orientale – Porti di Trieste e Monfalcone e China Communications Construction Company (CCCC)» // «Cooperation agreement between the Port System Authorities of the Eastern Adriatic Sea – Ports of Trieste and Monfalcone and China Communications Construction Company (CCCC)», which revolves on the development and control of the railroads of the International Free Port and of the customs port di Trieste (published in Italian at this LINK). The illegal agreement involving Trieste was drafted and signed by Mr. Zeno D’Agostino, an Italian officer that, due to the pressing of members of the PD (Italian Democratic Party), since 2015 is serving as President of the illegitimate Italian Port Authority in Trieste, a provisional body that acts instead of the legitimate Director of the Free Port, yet to be appointed by the sub-administering Italian Government pursuant to its obligations under art. 18 of Annex VIII of the 1947 Treaty of Peace with Italy (LINK). Therefore, the President of the Italian Port Authority in Trieste was and is not entitled to draft, to sign or to enforce those agreements, but as an officer of the sub-administering Italian Government, he has the legal obligation to prevent any State from taking over port areas or railroads that belong to the present-day Free Territory of Trieste and to its international Free Port. Instead, the agreement signed by D’Agostino would allow P.R.C. State investors to gain control of the railroads that are necessary to develop the international Free Port and custom port areas that the same P.R.C. State investors are trying to take over by purchasing quotas and assets of private companies to which Mr. D’Agostino himself grants or is promising long-terms concessions under Italian law, thus in breach of the legal order of the Free Territory of Trieste. In addition to that, D’Agostino is also the President of COSELAG consortium, which is about to sell to the same P.R.C. State investors a relevant part of the industrial areas needed to build two new rail hubs, which would therefore belong to them. Furthermore, the President of the illegitimate Port Authority, Zeno D’Agostino, allows the current Mayor of Trieste, Roberto Dipiazza, to occupy the Northern sector of the international Free Port with operations that are already proved to be illegal and that cause damages for several billions EUR to the assets of the City and of the Port Authority itself, operations that Mr. D’Agostino himself has the legal obligation to prevent. In view of all of this, it is legitimate considering that the current management of the International Free Port of the Free Territory of Trieste, sub-entrusted to the temporary civil administration of the Italian Government has ultimately reached unprecedented, unbearable levels of unlawfulness. As it is clear that, following the illegitimate March 23rd agreement between Zeno D’Agostino and the P.R.C. State investors, re-establishing the rule of law in the present-day Free Territory of Trieste has become a relevant, and global strategic necessity.